The Greensburg Salem School Districts Elementary School Counseling Program believes that ALL students should be afforded opportunities for guidance and support in becoming life-long learners and in developing skills to support their current and future personal, social, academic and career goals. The Greensburg Salem School Counselors believe that all students are unique and dynamic individuals and are capable of becoming responsible and productive adults. The goal of the Greensburg Salem School District School Counseling Program is to work in partnership with parents, teachers, administrators and members of the community to remove all barriers to foster student success in a safe and supportive school environment. The Greensburg Salem Elementary Counseling Curriculum is a living, working document that is examined annually and driven by student need. It employs a variety of guidance methods, techniques, and resources available to the schools and School District. These four interactive program component serve as program organizers and check of the comprehensiveness of the program. Individual Planning: This component is viewed as the “vehicle for personalized learning.” School Counselors serve as facilitators of students’ personal, social, academic and career development through various initiatives, lessons, and activities. Responsive Services: The activities in this component are often utilized on an as-needed basis. 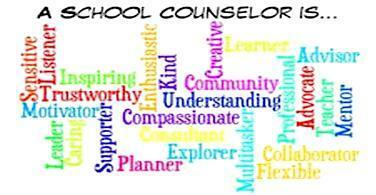 These services are utilized by School Counselors in response to direct, immediate concerns of students. The services are further structured into components based upon student driven, specific needs: Academic, Behavioral, Health-Related, Consultation, and Referral. System Support: There are many aspects of the Elementary School Counseling Program that fall under the umbrella of System Support. Although the direct impact of these services are not always obvious, the Program could not be successfully delivered without these vital, behind the scenes components.